Bellamy’s Organic had the honour of hosting our Mindful Mums Workshop with guest speakers Midwife Cath and Ms Charlotte Lin who shared their experiences and advice on parenting, breastfeeding, diet and nutrition. The workshop was held on a beautiful Saturday morning at the bright and cheery National Museum of Singapore. Eager parents and parents-to-be arrived with the anticipation of gaining fruitful knowledge and interacting with our speakers. Midwife Cath, an experienced Nurse, Midwife, Maternal and Child Health Nurse from Melbourne, Australia shared about parenting and breastfeeding. With her profound experience, Cath understood the challenges new parents face while also giving them an insightful understanding of their babies. Ms Charlotte Lin, a Senior Clinical Dietician from the National University Hospital, Singapore, holds two Masters degree – Nutrition and Dietetics, Advanced Professional Practice in Paediatric Dietetics. She has numerous work experience in providing nutritional care and support, especially in paediatrics. As a working mother, she was able to relate and give practical advice to mothers including nutrition after giving birth, during breastfeeding and for babies. The QnA session was filled with enthusiastic questions from the participants and valuable insights from both speakers as they listened to and addressed the participants’ concerns, giving them practical tips on how to put new ideas into practice. Parents were treated to a sumptuous meal from Food For Thought and babies, a nutritious spread from Bellamy’s Organic. 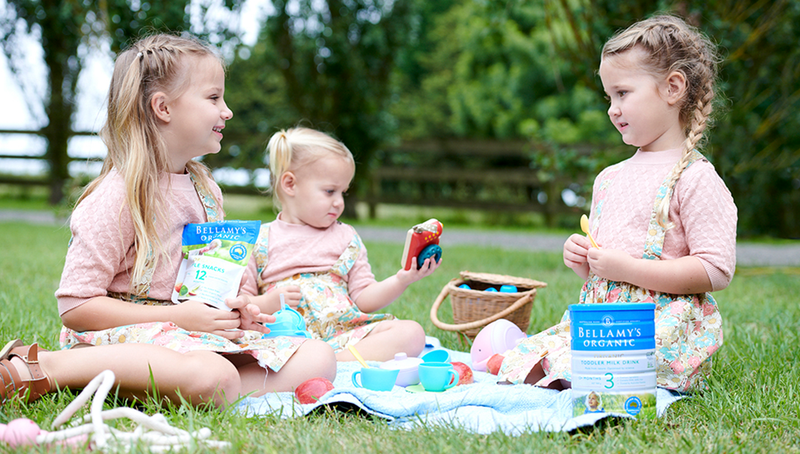 Everyone also got to go home with a huge bag of Bellamy’s Organic goodies! Do keep a lookout for our upcoming events through Facebook or Instagram as we definitely hope to host more workshops like this in the future! Parenting Advice: How Did You Encourage Your Little One to Try Walking Again After a Bad Tumble?